Design Burd Inc.A New York State of Mind | Design Burd Inc.
Can you picture yourself in this home? If there is a site that will help you do so it is vannessakaufmanre.com. 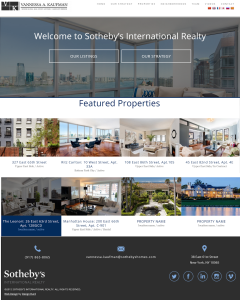 Design Burd is working with Sotheby's Real Estate brokers in New York to create unique sites to display their properties and strategy. 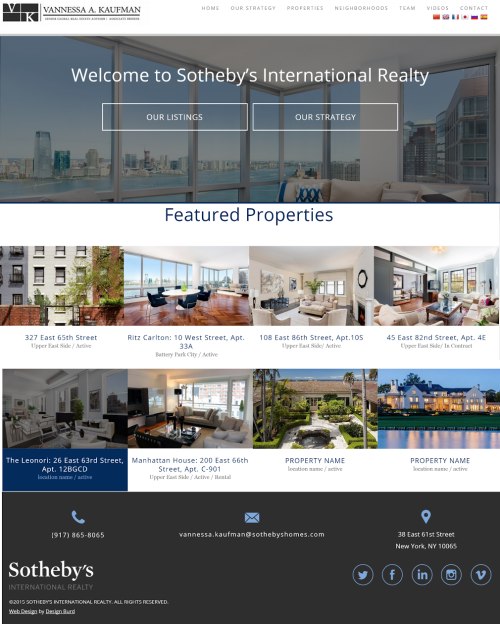 This brochure site not only tells you a story of how and why you should work with Vannessa Kaufman and her team, but it details how your property will be sold. A comprehensive process that will have your listing show in print, digital and word of mouth!